Another fantastic cause benefitting from the U of O Winter Games! Parks Marina Jeff Thee, IGLACC Kiley Zankowski & Cari Jack, & Bean Bag Co-Chairs Joe & Ann Meyer presented the Okoboji Friends of the Arts (vocal teacher Erin Chappas, instrumental teacher Ryan Middleton, & Okoboji Friends of the Arts President Deb Clark) with a check for $1,502.00 raised during the 39th Annual University of Okoboji Winter Games Bean Bag Tournament held on Saturday, January 26, 2019 on West Lake Okoboji in front of the Central Emporium. Sixty-four 2-person teams competed in this fun-filled tourney raising funds for the amazing Okoboji Fine Arts Programs. Thank you to Joe and Ann Meyer, Parks Marina, and the Iowa Great Lakes Area Chamber of Commerce for making this tournament a reality. 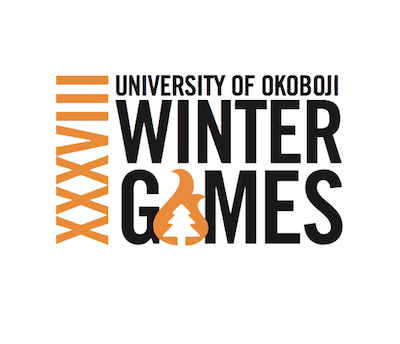 The 40thAnnual University of Okoboji Winter Games are scheduled for January 23-26, 2020 and be sure to visit www.uofowintergames.comfor updates and information on how you can get involved in the frigid family fun. 105 plungers dove into the icy waters of West Lake raising funds that benefit the Arnolds Park/Okoboji Fire & Rescue. Nearly $7,000 was raised in one hour. This money will be donated to the top three places and their charity of choice. In third place, The Ritz. $1,372 will be donated to their charity, The Humane Society of Northwest Iowa. Second place was The Shed. Their charity of choice was The Ronald McDonald House, and they will receive $2,058. The winner this year was Outback Lounge, and they chose for their winning proceeds of $3,430 to go to the Lane Frederick Stop Bullying Campaign – STAND UP – SPEAK UP! 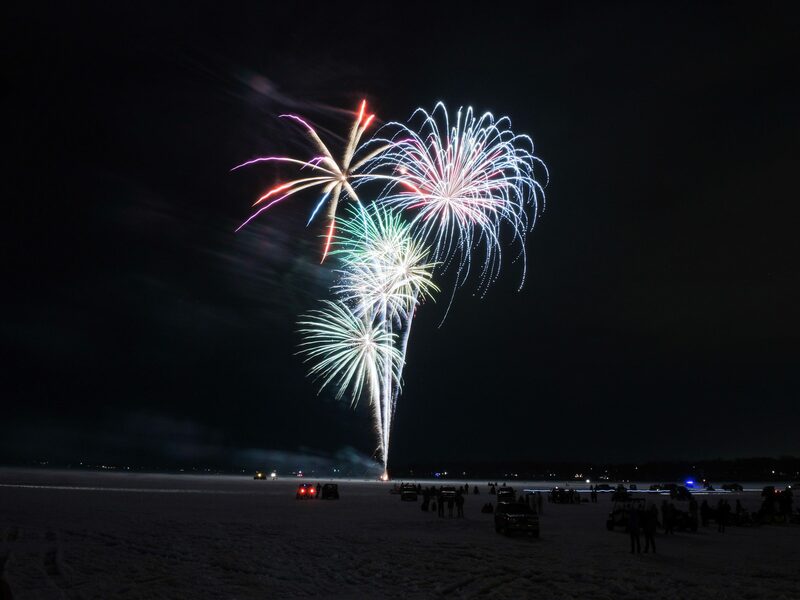 On behalf of the Iowa Great Lakes Area Chamber of Commerce, Spirit Lake Chamber of Commerce, and Okoboji Tourism, we would like to thank so many for making our 39thAnnual University of Okoboji Winter Games another success for our business community. Thank you to our sponsors for making so much of this possible. Our Presenting Sponsor GrapeTree Medical Staffing. 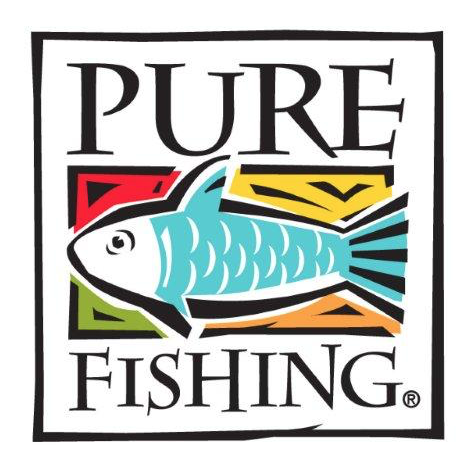 Gold level sponsors include Pure Fishing, Re*Be Skin and Vein Clinc, and Dr. McGillicuddy’s; and our Silver sponsors include Kozy Heat and Hy-Vee of Spirit Lake. Thank you to our individual event sponsors Okoboji Harley-Davidson for the Polar Plunge, The Gardensfor the Bean Bag Toss Tournament, The Ritz for Snowball Softball, Mary Lynn Ingvall and Ingvall Real Estate Team for the Chocolate Classic, Oak Hill Marina for the Chili Cook-off, Lakes Regional Healthcare for the 5K/10K race, Shaw’s of Okoboji for the Broomball Tournament, and Parks Marina for Flag Football. We would also like to thank Black Hills Energy for sponsoring the Winter Games Information Center all weekend long. We appreciate the leadership of this year’s Chair Adelee Dixon, Co-chair Brent Harris, and our 9 wonderful Winter Games Cheerleaders.Thank you to our hundreds of volunteers, Arnolds Park Amusement Park’s hard-working staff, KUOO, the Dickinson County News, the Lakes News Shopper, and MC22 for their non-stop coverage. A big shout out to Spirit Lake High School Senior, Emmaline Hughes, for a beautiful rendition of our National Anthem for our Extravaganza and her time with us as our J-Term Intern. Thank you to County and City governments for working with us, the courageous Law enforcement of the Lakes Region, the Iowa DNR, Arnolds Park/Okoboji Fire & Rescue for keeping us safe, and all of the Chamber businesses that hosted events that lead to a memorable weekend for our tens of thousands of visitors. It takes a very special community to unite & support an event that brings joy to our locals and visitors alike with an economic boost for our Chamber Members. Thank you to each and every one of you. After collecting nominations for all of December and holding community-wide voting on January 3rd and 4th, the Winter Games Committee has officially tallied up the votes! We now present to you the 2019 University of Okoboji Winter Games Cheerleaders. As a radio personality, George has been the ultimate cheerleader for the Iowa Great Lakes ever since he first moved to the area in 1995. From his position as the morning guy at KUOO to his most recent job as the Farm Director at KICD, George has always loved highlighting all of the wonderful people and places found in and around the lakes area. Both on and off the air, George has been known to share his love of the area with family, friends, and listeners far and wide. In his 20+ years of living in the Iowa Great Lakes, George has served on the ECHO Board, the Extension Council, lead youth activities at the YMCA, been a member of both the IGL Rotary and the Spirit Lake Noon Kiwanis and served on various church committees as well as taught Sunday School. Lori has welcomed a generation of children to the Spirit Lake schools in her role as a kindergarten and early childhood development teacher. Her hard-work, dedication, positive attitude, and perpetual smile has set the tone for thousands of children and their families in their first educational experience in public school. Somehow despite going to school early and staying late every day, Lori has managed to volunteer countless hours at her church where she serves on several committees and helps with Sunday School, Bible School, and Wednesday night youth activities; and for Spirit Lake Music Boosters where she served several years as President. She is also active in the Lake Park Garden Club which holds the annual children’s bazaar, volunteers at the Bedell Family YMCA, and served on the Echo Plus board. Lisa is a Special Education teacher at the Spirit Lake High School. She is a member of the Spirit Lake Noon Kiwanis and is a leader for the Spirit Lake High School Key Club. In this role she helps teach youth how to volunteer and make their community a better place to live. Not only is she involved in Spirit Lake High School, but you can also see her cheering on the youth at Okoboji High School where her daughters attend.She always gives 110% in anything she does with a smile and positive energy. Lisa is a great role model, leader, and volunteer in our community. 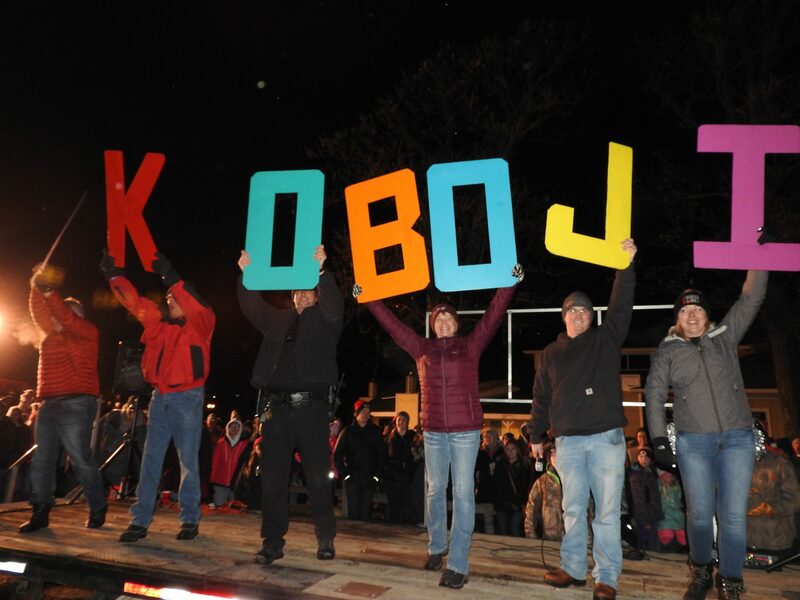 You will not find anyone with more enthusiasm about all things ‘Okoboji’! She is on her 19thyear teaching P.E. at Okoboji High School. She is a past Iowa Physical Education Teacher of the Year and Central Region High School Teacher of the Year. She is currently serving on the YMCA Board and a leadership team at Okoboji High School. She’s a Middle School Cross Country Coach and is seen cheering on all area sports and music. As a teacher, coach and mentor, she is consistently setting a great example for the students she teaches and for other members of the community. She has also worked on The Queen in the summers for 10 years! Abby is a true champion of the Okoboji area! Nate and Greta embody the Okoboji Spirit! Since returning to Greta’s hometown a few years ago, they have become an integral part of the community. Nate currently serves as Chair of the YMCA Board, is an elder at Grace Lutheran Church, is a member of Rotary and has served on the Dickinson Planning and Zoning Commission. Greta is a past Chair of Winter Games, President of T.T.T., has served on the board of the Pearson Lakes Art Center, is very active with the Grace Lutheran Church Salad Luncheon and with the Spirit Lake Community Schools. Jill is a true community leader and champion for the Iowa Great Lakes. She has recently won Entrepreneur of the Year through the Iowa Lakes Corridor. Jill has spent countless hours with Okoboji Schools taking activity photographs, leading Okoboji Youth Basketball Association, offering talents for Building for the Future (new middle school) and acting as Okoboji Booster President. Jill also plays an integral part of the Imagine Project Committee that was established to beautify the Iowa Great Lakes. She has also been on the Historic Arnolds Park Board for 7 years. This is her 3rdyear of being President of Restore the Park. She is an active member and leader at St. Joseph’s Catholic church in Milford. Dr. Kolegraff has been a Dickinson County resident for over 30 years. He has been active in the community and schools, while raising 7 children. He is a local business owner of re*be Skin and Vein Clinic, which has been in business in the Iowa Great Lakes Area for over 10 years. 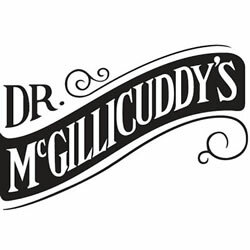 He was named to the State Board of Medicine in 2016. Dr. Ron Kolegraff, a practicing surgeon of over 32 years, is Board Certified in General Surgery, a Diplomate of the American Board of Phlebology, a Fellow of the American College of Surgeons and a Fellow of the American Academy of Cosmetic Surgery. Dr. Kolegraff and his staff treat hundreds of patients each month. He has truly dedicated his time and talents to this area. Peggy is a very enthusiastic member of the Lakes area. She has touched the lives of thousands of children as a teacher in the Spirit Lake School District and continues today through substituting. One can often see Peggy cheering on Indian extracurricular events, and she was even given the title of “2015 Fan of the Year”. She was honored at Girls’ State Basketball for sportsmanship and decorum. In the community of Orleans, Peggy is Chairperson of the Orleans Board of Adjustment and also takes pride in keeping the village looking spiffy! Peggy is active in her church – willing to step up to the plate for many needs! If you see Peggy around the Lakes area you can guarantee she has a big smile and a positive attitude. Congratulations to all those who were nominated. We can’t wait to hear these 9 fantastic individuals cheering loud and proud at the 39th Annual U of O Winter Games on January 24th – 27th! Apparel is available for purchase online at www.uofowintergames.com/wgapparel/ as well as in stores around the Iowa Great Lakes Area. 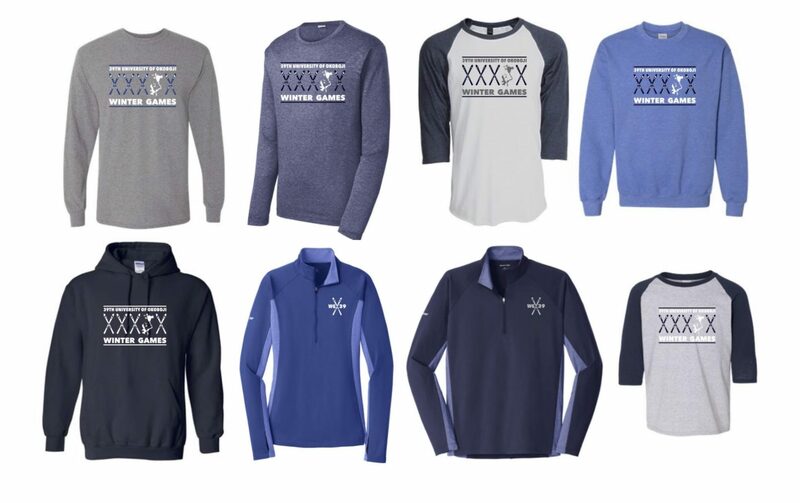 Visit the IGLA Chamber office in Arnolds Park and The Three Sons to get your official Winter Games gear today! Clothing will soon be available at: HOME-ology in Arnolds Park, Hy-Vee in Spirit Lake, Fareway in Spirit Lake, and The Welcome Center in the Maritime Museum. 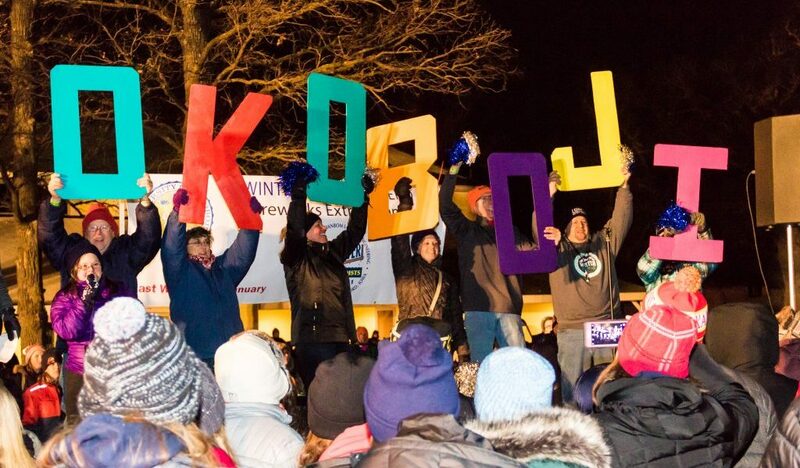 Make sure your calendars are marked for January 24-27, 2019 for the 39th Annual University of Okoboji Winter Games. Check our Facebook page at www.facebook.com/UofOWinterGames for updates on all things Winter Games related! Please contact Kiley Zankowski at kiley@okobojichamber.com or 712-332-2107 with any questions. We are excited to introduce to you the Chair & Co-Chair for the 39th Annual U of O Winter Games! Chair of the 39th Annual Winter Games is Dr. Adelee Dixon. Dr. Adelee is a chiropractor and co-owner of Dixon Family Chiropractic along with her husband, a Spirit Lake native, Dr. Wade Dixon. They moved back to the area following college in 2000, joining Dr. Wade’s dad, Dr. Larry Dixon, at the office. She loves caring for her community, especially athletes and patients with hormonal or nutritional issues. They have two sons: Jacob is a freshman at Dakota State University studying Cyber Security, and Isaac is a Junior at the Spirit Lake High School. Dr. Adelee spent years serving on the Youth Wrestling Board and Middle School Parents In Education Board, is currently active on the worship team and as a youth leader at her Crosswinds Church, and serves on the Indian Athletic Booster Board. She stays busy watching her boys in their numerous sport and music activities. She is also an instructor at the Bedell Family YMCA. In her free time she enjoys riding her bike, boating, cross country skiing, walking her dogs, and yoga. Her favorite Winter Games activities are the fat tire race and burning of the greens. Co-Chair this year is Brent Harris. Brent is an account executive for MHR Insurance in Milford. He is also the co-owner of Outrigger Restaurant & Lounge in Okoboji along with his wife, Jessica Harris. 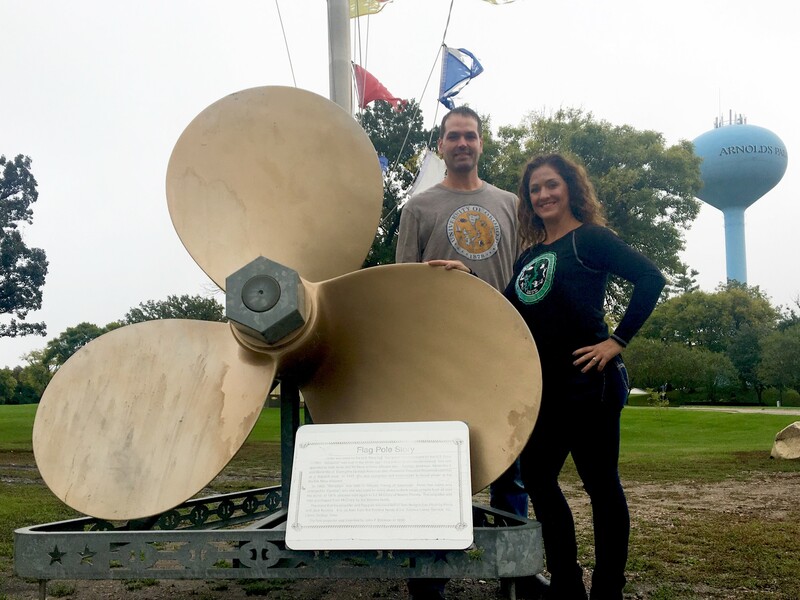 Brent and Jess are currently residents of Arnolds Park, but Brent was born and raised in Spirit Lake. Brent is very active in our community. He is a board member and past president of Spirit Lake Noon Kiwanis. He is a board member and Iowa Navy Commodore for the Iowa Great Lakes Chamber of Commerce. He also dedicates much of his time to raising funds for the National MS Society in various ways. When Brent isn’t busy working or volunteering, he loves boating, golfing, spending time with family and friends, and enjoying all the amenities the Iowa Great Lakes area has to offer! Over the years, Brent has been active in Winter Games in various ways. He has been a spectator, participant, volunteer, was lucky to be elected as a cheerleader in 2015, and is now looking forward to being co-chair. He is excited to represent this great community, the IGL Chamber, and the University of Okoboji in the upcoming 39th edition of this amazing event! Winter Games 38: Results are in! 136 plungers dove into the icy waters of West Lake Okoboji raising $1,593 in funds that benefit the Arnolds Park/Okoboji Fire & Rescue. Over $7,500 was raised in one hour. This will go to the first-place winner’s charity of choice. The winner this year was Outback Lounge, and they chose for the proceeds to go to the Lane Frederick Stop Bullying Campaign – STAND UP – SPEAK UP! *More results will be added as we receive them! We cannot say THANK YOU enough to all our sponsors, Chair/Co-Chair, event chairs, volunteers, and everyone who came from near and far to make the 38th Annual University of Okoboji Winter Games a success! John was born and raised in Dickinson County and has chosen this as his permanent home because he is passionate about the area. John served as President of the Spirit Lake Noon Kiwanis and has volunteered through the club for nearly 10 years. John volunteers his time to coach youth football and wrestling, and is also a champion for water quality through his engineering designs. Susan has served on the Board of Directors for the Pearson Lakes Art Center and the Iowa Great Lakes Trails. She organized fundraisers for those organizations along with the Okoboji Foundation Lakes Area Dinner table event. Susan has also supported the Blue Water Festival, Sami Center, Lakes Area Hockey Rink, Good Neighbor Fund, and HAPI. She also has a great Cheerleader smile! Jim is the mayor of Arnolds Park, the city in which a lot of Winter Games itself takes place. He spends countless hours at council meetings to try to make Arnolds Park a great place to live, work, and play. He’s an all-around great guy and will make an enthusiastic cheerleader. Al greatly cares about his community. He is always so eager to help out other people. He truly takes pride in his job to protect others and has mentored many youth in the community as well. Ann is always willing to support education and the school district. She promotes the Lakes Area when her husband entertains clients from overseas or outside the Lakes area. She came up with the Bean Bag Toss fund raiser for Winter Games which has been a huge success! She always greets you with a smile and is always having fun. Brad’s heart runs deep for the area. He is a very behind-the-scenes kind of person who is passionate about economic development in the Lakes Area. His company headquarters could be located anywhere, but not for Brad—the beautiful Iowa Great Lakes is the only place he’s ever considered. HE has a big heart for non-profit organizations and politics, which can be seen by his willingness to serve. Brad’s favorite part of Winter Games is the Chili Cook-off. Brad raised his family here and now enjoys his grandchildren here as well. He is likely a person you may not know, but more than likely his behind the scenes presence has touches your life somehow. Kiley is a very enthusiastic, happy person who is devoted to the Okoboji area. This positivity is contagious in her role as the Community Relations Coordinator at the Dickinson County Nature Center. Kiley is not only active in her community but also her church. It is a joy to see her assisting the public that visit the Okoboji area. Dee has volunteered, served, and promoted the Iowa Great Lakes for over 25 years. She was instrumental in bringing the Hershey Track Meet to the Lakes Area for Dickinson County grade school kids. She also served as First Lady for the Nebraska/Iowa Kiwanis District raising funds for pediatric trauma kits for EMS teams. She served as a school board member and VP for the Okoboji School District for 6 years. She volunteers as Treasure for the NW Iowa SHRM Group for Human Resource Managers and Professionals. She also served as past President and Board members of the Spirit Lake Sunrise Kiwanis Club. Congratulations to all those who were nominated. We can’t wait to hear these 8 fantastic individuals cheering loud and proud at the 38th Annual U of O Winter Games on January 25th – 28th! Winter Games 38: Chair & Co-Chair Announced! 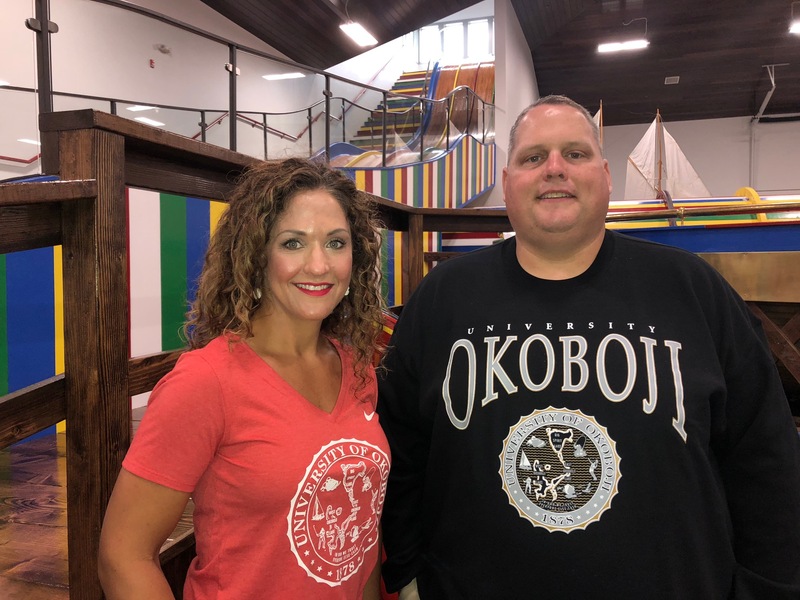 The Iowa Great Lakes Area Chamber of Commerce is excited to announce the Chair & Co-Chair of the 38th Annual University of Okoboji Winter Games scheduled for January 25-28, 2018. 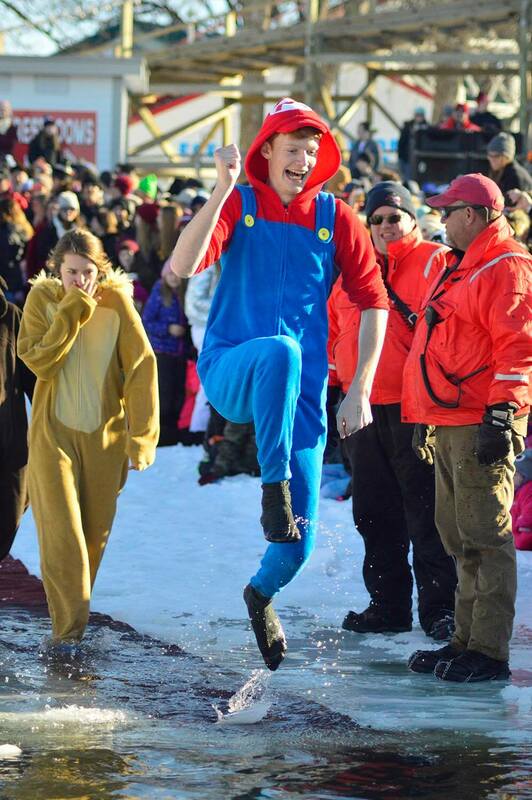 Chair of the 38th Annual University of Okoboji Winter Games is Ryan Davelaar. Ryan is the Assistant Vice President of Real Estate Lending at Farmers Trust & Savings Bank in Spencer. While originally from Rock Valley, Iowa, Ryan spent a lot of time at The Lakes growing up visiting his grandparents. He lived in the area for a few years following his graduation from Northwestern College, and he returned permanently 9 years ago. Ryan has been active in Kiwanis since returning to the Lakes. He spent 4 years in Spirit Lake Noon Kiwanis and the past 4 years in Spencer Hy-Noon Kiwanis. He is also the current Vice President of the Siouxland Bankers Association and is a member of First Presbyterian Church in Spirit Lake. In addition to working at Farmers Trust & Savings Bank and his involvement in the community, he also co-owns Mammoth Marketing with his wife, Erin. The two married in September of 2013, and she was actually a previous co-chair/chair as well for Winter Games 32 & 33! 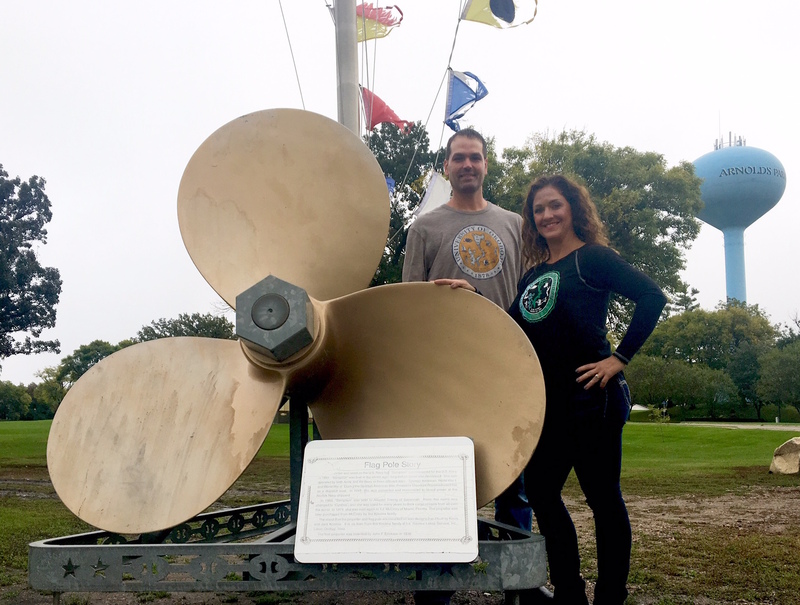 From participating in the youth fishing derbies in the mid-80’s to the broomball tournament with college friends, Ryan has always loved the excitement that the Games brings to the area in January. Some of his favorite experiences were years when there was a lot of snow and ice, making Smith’s Bay look like a giant tailgate party. Co-Chair this year is Dr. Adelee Dixon. Dr. Adelee is a chiropractor and co-owner of Dixon Family Chiropractic along with her husband, a Spirit Lake native, Dr. Wade Dixon. They moved back to the area following college in 2000, joining Dr. Wade’s dad, Dr. Larry Dixon, at the office. She loves caring for her community, especially athletes and patients with hormonal or nutritional issues. They have two sons at the Spirit Lake High School: Jacob and Isaac. Dr. Adelee spent years serving on the Youth Wrestling Board and Middle School Parents In Education Board, is currently active at her Crosswinds Church, and serves on the Indian Athletic Booster Board. She stays busy watching her boys in their numerous sports and music activities. She is also an instructor at the Bedell Family YMCA. In her free time she enjoys riding her bike, boating, cross country skiing, walking her three dogs, and yoga. Her favorite Winter Games activities are the fat tire race and burning of the greens. Ryan and Adelee are excited for the preparation ahead for this awesome winter tradition, and they are ready to make this year the best yet! 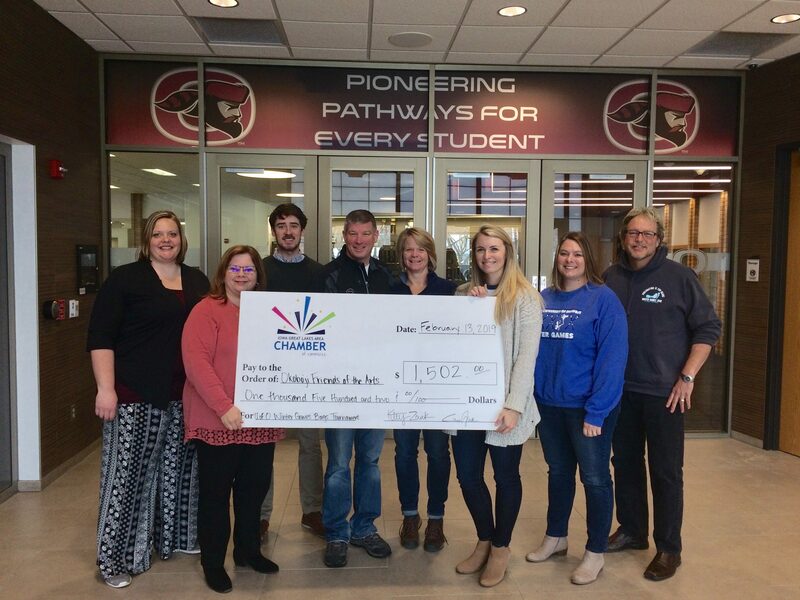 To get involved in the University of Okoboji Winter Games, please contact Kara Matheson at the Iowa Great Lakes Area Chamber: kara@okobojichamber.com or 712-332-2107.